Government pays more than GH¢ 1 billion of Tema TOR debt. 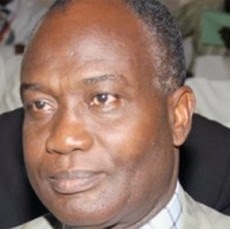 Government has so far paid more than GH¢ 1 billion of the Tema Oil Refinery, TOR, debt. This covers 75% of TOR’s total indebtedness. The Acting Managing Director of TOR, Ato Ampiah, disclosed this at the launch of the 50th Anniversary of the refinery. He said government has also released $ 30 million out of the $ 67.7 million for its plant stabilization and profit enhancement programmes. The Acting Managing Director of TOR, Ato Ampiah expressed gratitude to government for the payment. He however hoped that the remaining amount would be made available soon to complete the programme to enable the refinery to stand tall in the sector. He said as part of efforts to boost electricity supply and ensure that the refinery works even when there is interruption from the national grid, the company has invested in a 6.5 megawatt liquefied petroleum gas generator which is expected to arrive in the country by the 23rd of this month. Mr. Ampiah noted that TOR, formerly Ghanaian Italian Petroleum Company, has undergone a remarkable transformation from a simple hydro skimming plant of 28,000 barrels per stream day to 45,000 barrels per stream day. He said an expansion programme initiated in the year 2000, for a secondary conversion processing plant was commissioned in 2002 with an added capacity of 14,000 barrels per stream day. Mr Ampiah said projections showed that if TOR can process crude regular it can bring in revenue of about $ 2 billion annually. He said TOR may not have achieved all of the vision of Dr Kwame Nkrumah, first president of Ghana who initiated the project as the foundation for a petrochemical venture to propel other industries due to technical, operational and financial challenges. In spite of this, he noted that they are striving to restore TOR to its former glory. He thanked their partners, past and present management and staff for their contributions. The Board Chairman of TOR, Eric Okai said plans are far advanced to turn TOR into a refinery entity and a refinery business where it will trade both crude oil and finished products. He therefore urged the management and staff of the refinery to approach every activity they undertake from a business point of view to ensure success. The Deputy Minister for Energy and Petroleum, Benjamin Dagadu urged the management and staff of the refinery to use the celebration to take stock of their performance and double their efforts to realise the vision of the founding fathers. The celebration was under the theme: “50 Years of Refining and Fuelling the Nation; Achievements, Challenges, Opportunities and the way forward”.